the potential on this midfield ! Excellent lineup. We are up against one of the best teams in the league at the moment. Need a great match. Who will do the floss with Paqueta after he scores? Last edited by truant; 12-01-2019 at 06:47. 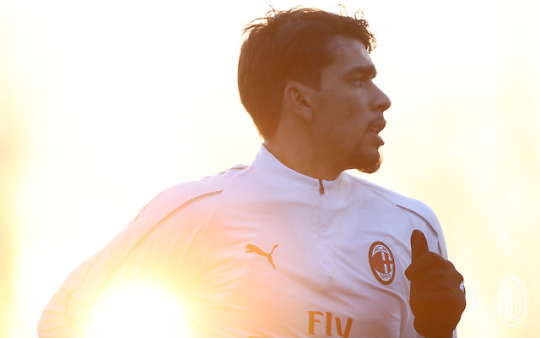 Excited to see what Paqueta can do. Hopefully he can pass the ball forward and not just to the side like the other. I'm trying hard to adjust my expectations for Paq. Debuts can be hard and he needs time to adapt. But I am so excited and really want him to do well!! Better watch out for hakans wife. Man I’m excited for this game. She did not cheat on him ffs! OFFICIAL Milan XI vs. Sampdoria (4-3-3): Reina; Abate, Zapata, Romagnoli, Rodríguez; Kessie, Bakayoko, Paquetà; Castillejo, Higuaín, Çalhanoglu.